Discord over UN migration pact: why does Lithuania need to sign it? Russian Aleksandr Prokopchuk did not become the head of Interpol. His candidacy was blocked by Lithuania and other Western countries. Kim Jong Yang from South Korea was elected the new head of the organisation. Lithuania and other states opposed A. Prokopchuk's candidacy because they were concerned Russia would seek to exploit Interpol for its political goals, lrt.lt writes. According to the Lithuanian minister of the interior, there was information that Russia sought to call on Interpol on Lithuanian officers and judges working on the January 13 case. Another important piece of news for the day: Lithuanian Minister of Foreign Affairs Linas Linkevičius says that Lithuania will support the United Nations migration pact, which has been rejected by the USA, Poland, Austria, Hungary and Israel. These were the discussion topics of LRT Television's Dienos Tema featuring Foreign Minister Linas Linkevičius and MP Audronius Ažubalis. L. Linkevičius concedes that despite A. Prokopchuk not being elected as the head of Interpol, he remains a vice-president in the organisation and Russia has influence in numerous international organisations, which can be used to pursue its goals. Nevertheless, he notes that in the end, being the head of Interpol brings along incomparable influence and representation, which leaves fewer opportunities to abuse the position. In terms of Russian abilities to subvert and circumvent the activities of international and particularly European Union institutions, A. Ažubalis points to economic links, which prevent states from making "independent and honourable" decisions. "There are many states, whose political elite only benefits from relations with the Kremlin regime. We have to admit this, we must see it and when we notice it, we are warned. He, who is warned, is armed," the MP stated. At the same time, L. Linkevičius points out that while Russia has had successes in subverting international institutions, such as through its vetoing of resolutions regarding Syria in the UN Security Council, the situation regarding Interpol displayed a unique success in consolidated responses to Russian manoeuvres. Passions have flared regarding a United Nations migration pact, which seeks solidarity between states in defending migrant rights, with the pact having caused discord in the Estonian government despite this only being a political declaration with no binding power. A. Ažubalis points out that the appearance of this pact has caused difficulties in the Lithuanian Seimas, with according to him, respective Seimas committees not being informed by the Foreign Ministry about its existence. While the document is not binding, the politician points out that to a degree it operates based on soft law. It can be a basis for other documents, which would be binding and would serve as a start to a process. Furthermore, he points out that the document does include binding language, indicating commitment to implementing the outlines suggested in the pact as soon as possible. Finally, A. Ažubalis notes that the pact is risky in its establishment of a before unused term in international law – migrants. The politician explains that migrants would no longer be distinguished as legal, illegal or refugees, simply being designated as migrants, which is risky. The document also apparently seeks to set out migration as a human right, taking control of this out of the hands of sovereign states. "In an Austrian answer prepared by Austrian jurists, when Austria refused to sign the document, it is written that this is an unheard of term because the concept of a migrant, which encompasses all the different categories, is not acceptable within existing law. Migration is a matter of every member state, how it handles this and to this day, I believe Lithuania is faring quite well. We are a member of the Schengen Area. We have solidarity right now. We are holding discussions within Europe. There is just one question: why do we need this act now?" the Conservative MP questioned. 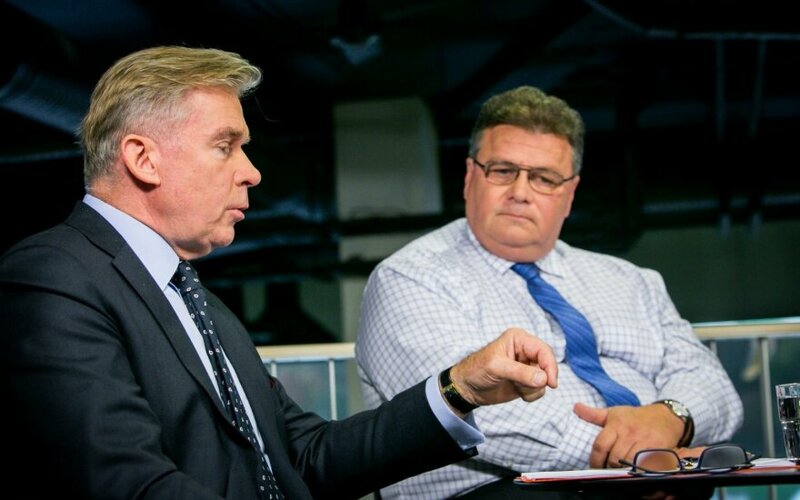 With A. Ažubalis having suggested that the pact is being rushed through, L. Linkevičius responds that discussions on it have been held for two years now and in Lithuania – in cooperation with the Ministry of the Interior. The foreign minister reipeats that the document is no contract, this being a falsehood that is being disseminated, he notes. "This will be an agreement, which will not be signed, will not have any legal repercussions, I want to say once again. I am now talking in the name of the cabinet and I answer for my words. It will not have any legal consequences. We will not create any legislation linked to it. We will not spend extra funding. Our legal and state sovereignty is guaranteed. It will be up to our legislation and us, how to act hereon. We want the migration process to be secure, orderly and legal. And you are claiming incorrectly that everything is being tangled. It is exactly by our demand that the necessity of returning migrants to their countries of origin is included there, indicating what is legal migration and what is illegal. Overall, those coming to our country based on the Lithuanian Constitution's article 32 are migrants, the possibility is outlined. There is no crime here," the Foreign Minister states. As for why a non-binding document like this is so vehemently opposed in some cases, he points out that Austria is in general inclined against migrants and this is just politics, while in Estonia, the public is mostly opposed. L. Linkevičius points out that even if the word commit is included in the document, it does not immediately mean it will become legally binding. A. Ažubalis reiterates that this is linked to soft law, with there being room from moving from this to normative law, with numerous EU documents being based on UN soft law. L. Linkevičius responds by noting that this would not occur without Lithuanian agreement and there is no direct commitment to implement. This, in turn, is rebuked by A. Ažubalis, who wonders, in whose name the minister would be talking regarding Lithuania's agreement or lack of, when it comes to this pact, if there have been no discussions on the document in Seimas so far. Nevertheless, the foreign minister stands by his position, pointing out that such documents as this one can be dealt with internally, between the various involved ministries and do not have to be coordinated with the Seimas. He cautions to be wary when discussing this matter and points out that a number of countries have misrepresented the pact and this has been exploited for fake news.